Tekkie Pinas: Power Up your Party with Sony’s Shake Series! Power Up your Party with Sony’s Shake Series! Filipinos sure love to celebrate and get together. As festivals are celebrated all year round in different parts of the archipelago – one thing remains true – the community bonds better because of Filipinos shared love and passion for singing and dancing and these experiences can truly be memorable with Sony’s Shake Series! 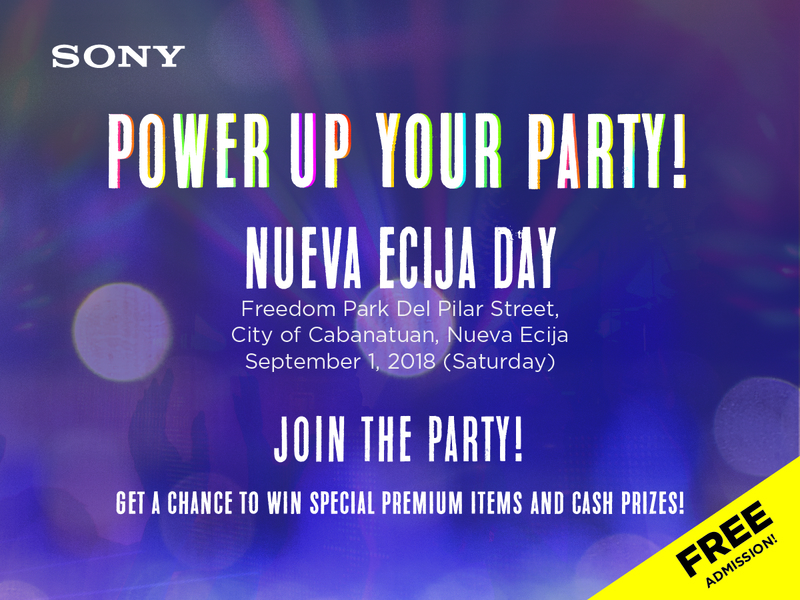 So, this is the best time to put your mad dancing and singing skills to test, win awesome prizes, and join the fun only with Sony Philippines’ Power Up your Party! Join the party by signing up for free Zumba dance lessons, sing your hearts out with the Karaoke contest, or be the next local singing sensation through the Acoustic band showdown, and then shake it off at the Power up dance contest all happening in one full day of fun! Now what are you waiting for? 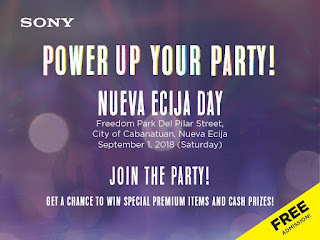 Gather up your family and friends as Sony Philippines’ Power Up your Party kicks off this coming September 1, 2018 at the Nueva Ecija Day in the City of Cabanatuan, and on September 15, 2018 at the Karansa Festival in Danao, Cebu. Keep the music alive with the Sony Shake series and start rehearsing your winning piece for theKaraoke Contest which is open to all ages and winners will get a chance to win exciting premium Sony items and cash prizes! From solo singers to aspiring band performers, an Acoustic Band Showdown is open to amateur local bands who will showcase their talents that depicts the brand’s message of, “Power Up Your party” and the perfect “Ultimate Barkada Bonding Activity”. No talent for singing? No problem! A Dance Contest awaits for those who can move to the groove! So, join in the craze with the entire barangay and show them what it’s like to have a modern bayanihan with Sony’s Power Up Your Party! The Sony Home Audio System line up will you a memorable festival experience with the exciting features it has to offer. It comes complete Sound Pressure Horn, Bluetooth streaming with LDAC, LED speaker lights for a party atmosphere, Guitar and Karaoke input, and DJ effects. Shake -X70D is priced at PHP 49,999, Shake-X30D at PHP 34,999, and Shake-X10D at PHP 26,999. Available in all Sony Centres nationwide. For more information, visit www.sony.com.ph, like facebook.com/SonyPhilippines, or followtwitter.com/SonyPHinc and Instagram.com/sonyPHInc.